So you have finally decided to place a trade and you have your own reasoning for doing so – e.g. you feel that the EUR will fall compared with the USD. The EUR/USD exchange rate is, at the time, around 1.1200 (the common presentation of the Euro-US$ pair is EUR/USD, meaning 1.1200 US dollars for 1 Euro). Your decision can be based on your experience or on technical analysis or fundamental analysis, etc. For whatever reason, you believe that the EUR will fall to around 1.1050 (EUR will be down, which means USD will go up). You want to profit if your forecast is correct, and so choose to make a trade. 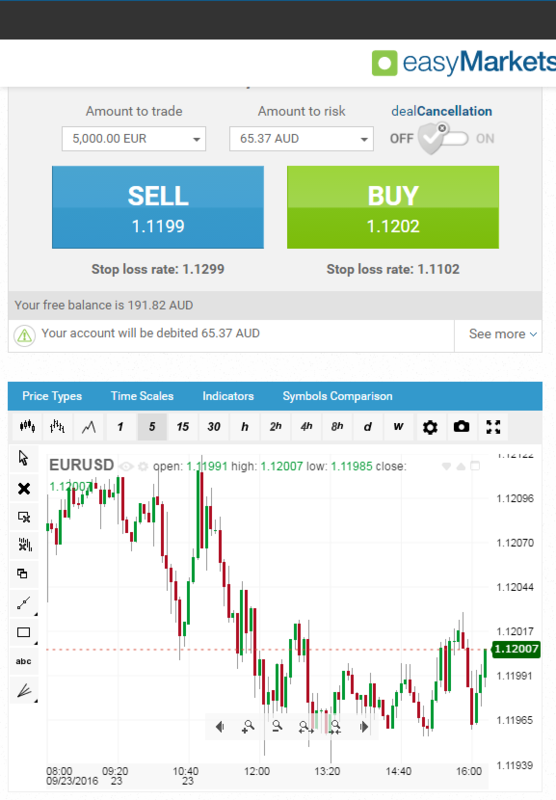 Select the currencies in the Forex pair. There is no connection between your ‘base working currency’ (or account base currency, the currency in which you handle your Forex account and make deposits and withdrawals) and the currencies in the pair you select. In this example you selected ‘SELL.’ Once it decreases to the level you anticipate, you will close the deal and hence, you make a profit. Since Forex trading is ‘non-delivery’ trading (i.e. no physical currencies are transacted), the Forex deal (contract) has a ‘volume’, or ‘size’, meaning the amount of the currencies in this contract. You determine the volume of the contract, but you do not have to purchase the whole amount. In general, you work in the most common leverage (see below), 1:100: therefore a deal of 10,000 Euro will require much less money to facilitate it. This is your investment. This is the amount you risk, meaning the MAXIMUM amount you can lose. On a 1:100 leverage, EUR 10,000 against USD thus requires only USD 100. This is the currency exchange rate at which your deal would automatically close in the event the market ran counter to your forecast. In the example above you would lose your AUD 65.87 investment. You can define another Stop-Loss rate, however, the ‘amount to risk’ will change accordingly. There is a direct relationship between the Stop-Loss rate and the ‘Margin’ (i.e the amount risked) required for the deal. When you’re ready, click ‘Sell’ and your deal is activated. You have enough money in your Forex account to make the deal, so it’s in play. You are holding now an ‘Open Position’ in Forex. Please note, ‘Renewal until’: The Day-Trading deal resembles a ‘SPOT’ transaction (but is not identical). The rates in the deal are the updated current rates (‘spot’), and the deal may be closed anytime during the trading day. However, the trader can extend the deal to the following day (paying a small renewal fee). Most platforms offer an automatic renewal of the deal, for a few days period. The trader may close the position at any time. If the trader closes the deal before the indicated closing time (usually it is 22:00 GMT), no renewal fee will be charged.